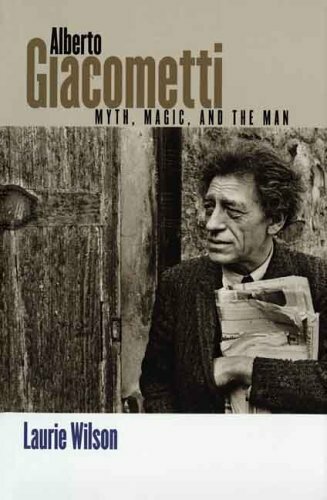 Alberto Giacometti, one of the most important artists of the twentieth century, was also one of the most enigmatic. In this major new interpretation of Giacometti and his work, art historian and psychoanalyst Laurie Wilson demonstrates how the artist’s secret beliefs and emotional scars are reflected in his evocative sculpture, drawings, and paintings. Wilson’s Giacometti was an extremely imaginative child who entwined fantasy and real-life experiences. As he matured, the artist combined fact and fancy into evolving myths, part conscious and part unconscious. Drawing on biographical data uncovered during a decade of research, Wilson reconstructs traumatic events and issues in Giacometti’s life-including family births and deaths in early childhood, world wars and their aftermath, and his intense and ambivalent relationship with his parents-and examines their profound effects on his artistic evolution. These startling new interpretations will forever change the way we understand both the man and his work.